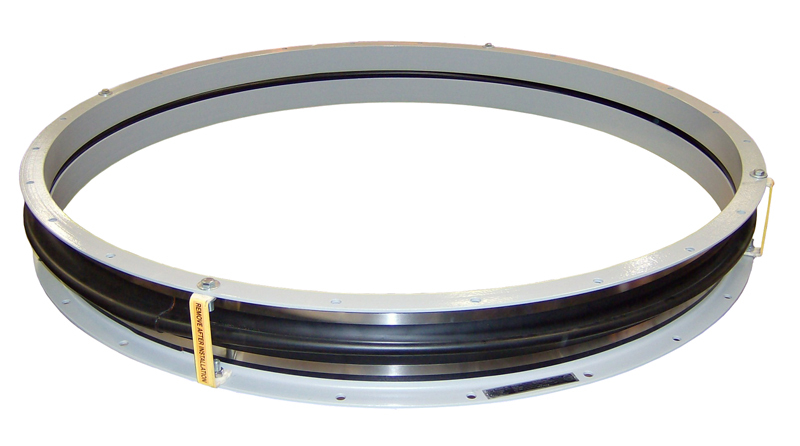 This neoprene expansion joint measures 59″ x 7” and is designed to be used in an air exhaust system. 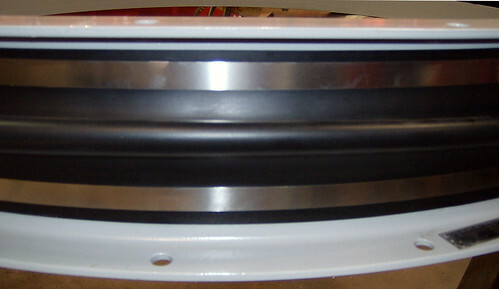 The flanges are fabricated from painted carbon steel angle flanges. The neoprene is fastened to the carbon steel angle flanges by stainless steel clamp rings. The expansion joint absorbs the vibration between the duct work and blower exhaust flange.